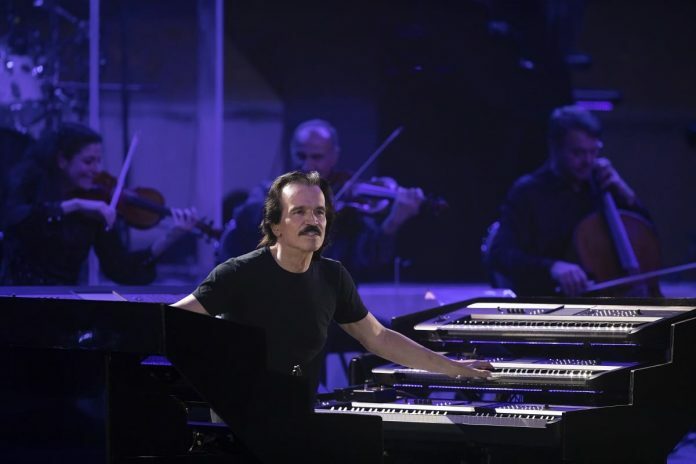 Grammy Award-winning composer Yanni – one of the first international music stars to perform in Saudi Arabia in recent years – dazzled a packed crowd on Friday night with some of his popular pieces in a spectacular show at Al-Ula as part of the extended Winter at Tantora festival. “This is pretty awesome. Let me say something to my Saudi friends, ‘ana kateer saeed’ (I am so happy) … thank you. This is such a great honor to be here, we’ve been here for a few days and I have been touched once again since the last time I have been here, you always honor me,” the Greek musician, at his keyboard and clad in his trademark black t-shirt, told the cheering crowd. The pianist will always be remembered as one of the first world musicians to have kicked off a series of concerts in Saudi Arabia in late in 2017, that opened the long-locked doors to public musical performances in the Kingdom. 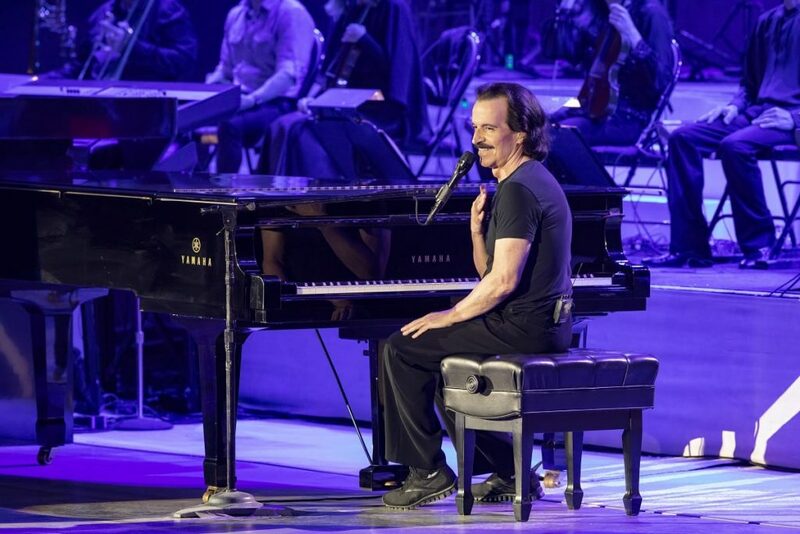 Yanni’s latest performance took place as part of the extended Winter at Tantora festival that has featured a long list of Arab and international musicians who performed each Friday since the festival’s launch on December 20. The site of the concerts is adjacent to Mada’in Saleh, a major UNESCO World Heritage Site in Saudi Arabia, once home to major civilizations including the ancient kingdoms of Dadan/Lihyan and the Nabataeans. 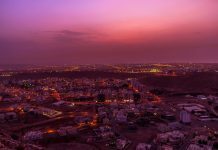 The artist gave the first live performance of When Dreams Come True, a piece composed in parts over 60 shows in 60 cities, which he dedicated to the Saudi people. He performed some of the most popular numbers including Reflections of Passion and The Rain Must Fall. “I just wanted to talk to you about dreams, you have a lot of dreams in this country,” Yanni told the audience. “I’ve heard about it from a year and a half ago when I was here and I was very impressed and was very touched. Since Yanni’s initial series of concerts in Riyadh, Jeddah, Dammam and Dhahran, in 2017, Saudi audiences have been treated to performances by such international stars as French-Algerian Rai musician Cheb Khaled, American rapper Nelly and more recently US pop rock band OneRepublic, American R&B star Jason Derulo, global Latin pop music star Enrique Iglesias, hip-hop, pop & dance royalty Black Eyed Peas, as well as famous Egyptian singer-songwriter Amr Diab and superstar DJ/producer David Guetta. The line-up at the Winter at Tantora festival in recent weeks has included renowned Italian tenor Andrea Bocelli, Chinese pianist Lang Lang, French violinist Renaud Capucon, Egyptian composer Omar Khairat, famous Saudi singer Mohamed Abdo and Lebanese crooner Majida El-Roumi. A real crowd pleaser there was the Middle East debut on January 25 at Al-Ula of an orchestra-backed concert featuring a hologram projected onto the stage of legendary Egyptian diva, the late Um Kulthum, the Arab world’s iconic songstress. It was first time that hologram technology has been used in the Middle East to bring a performance depicting a deceased legend back to the stage. At Al-Ula, festival visitors toured many sites in and around the ancient oasis town founded in the 6th century and located some 380 kilometres north of Madinah. 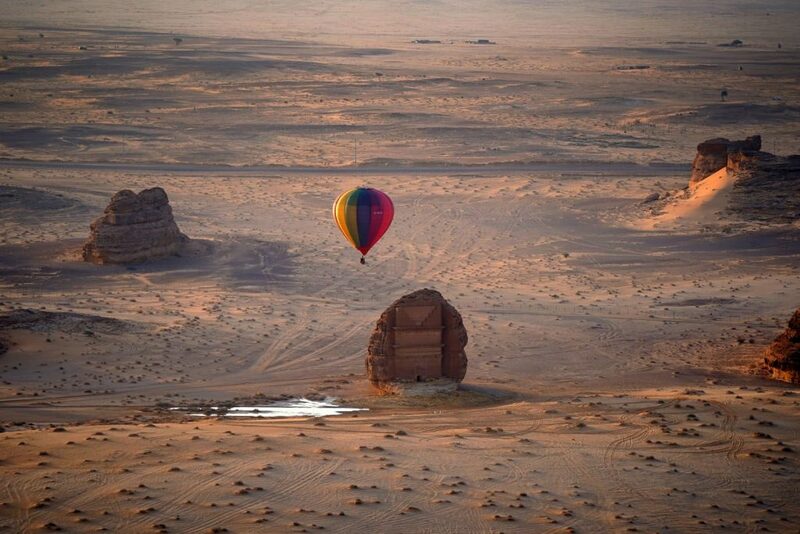 Today it serves as the gateway to Mada’in Saleh. 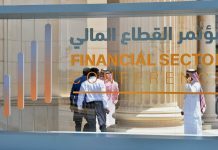 More than 2,000 years old and carved out of rocky mountains by the Nabataeans, the tribe that also built Petra in Jordan, Mada’in Saleh is expected to become one of Saudi Arabia’s premier tourist destinations as the Kingdom forges a tourism and hospitality industry. Winter at Tantora, originally due to end on February 9, has been extended until February 23. 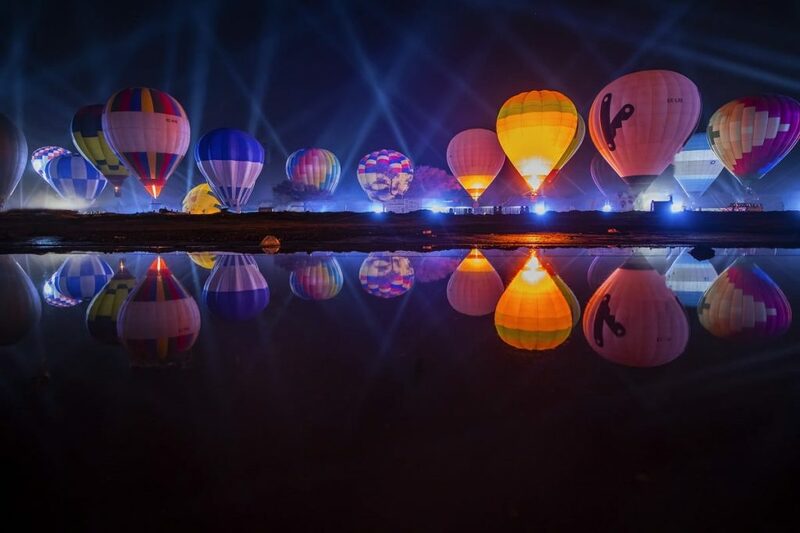 Visitors also enjoyed a show where scores of multicoloured hot-air balloons, tethered to the ground, were released to hover in the skies above Al-Ula. Upcoming concerts include a show on February 15 by famous singer Kadim Al-Saher and guitarist, singer and composer Ilham Al-Madfai, both of Iraq, to be followed on Friday February 21 by a performance by Iraqi singer Majid Al-Muhandis and Saudi-Bahraini singer Rashed Al-Majed in honour of famous Kuwaiti singer and composer Abdul Karim Abdul Qader. Previous articleThis Art Has Been Created by AI. Will Collectors Want It?